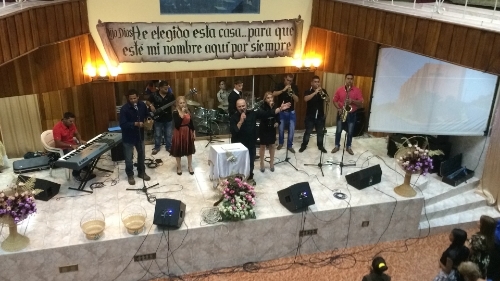 Since 1991, worship ministry has played a major role in Proclaim Cuba as a means of connecting the people with God. At first it took a very rudimentary form with concerts using a guitar with a missing string, a toy keyboard and drums was made out of household items such as buckets, pans and aluminum plates. God accepted these meager offerings and moved with great power in the congregation. As the years passed we witnessed how God provided and sustained our steps of faith, in not wait until we had the resources to start His work. Fast forward eleven years...in 2002 a group of passionate young people ignited a vision to transform worship on the island. At that time churches were extremely conservative in their worship. Any music beyond the Baptist Hymnal was imported mainly from the United States and Mexico. Cuba did not have its own musical identity. On March 6, 2003 these young people formed the worship band, Adoradores Del Rey (ADR), translated Worshippers of the King, with a mission to awaken the church's heart to praise God. 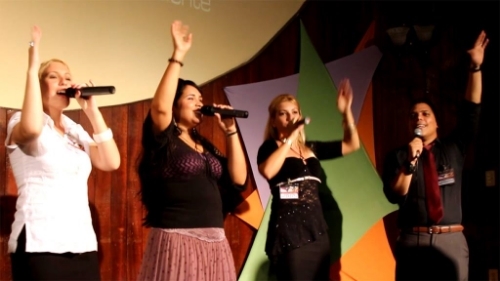 ADR is a team of talented singers and instrumentalists responsible for leading worship at Proclaim Cuba events throughout the entire island as well as the headquarters church, in a culturally relevant way. Several of its members are graduates and now faculty of the seminary. In 2002 ADR recorded its first full-length album entitled It Was For Me. Their second album came in 2010, entitled Living Water. It was produced entirely in house. Today, although not so young anymore, ADR continues with the same vision and mission: to serve wherever needed and passionately lead people to connect with their Creator through worship.